Mr Jan Zahradil, MEP, is sending this invitation to the « Faith and Freedom Summit: Practicing what we preach ». The event is a non partisan summit hosted by ACRE (Alliance of Conservatives and Reformists in Europe), in partnership with the European Office of the Church of Scientology for Public Affairs and Human Rights, the All Faiths Network, CAP Liberté de Conscience and the Foundation Mejora. « It is with great pleasure that I would like to invite you to participate in the inaugural “Faith and Freedom” Summit that will take place in Brussels on June 28th, 2018. With the 2019 European elections in sight, we believe that the time has come to address Freedom of Religion or Belief as an important topic to be tackled in the EU. 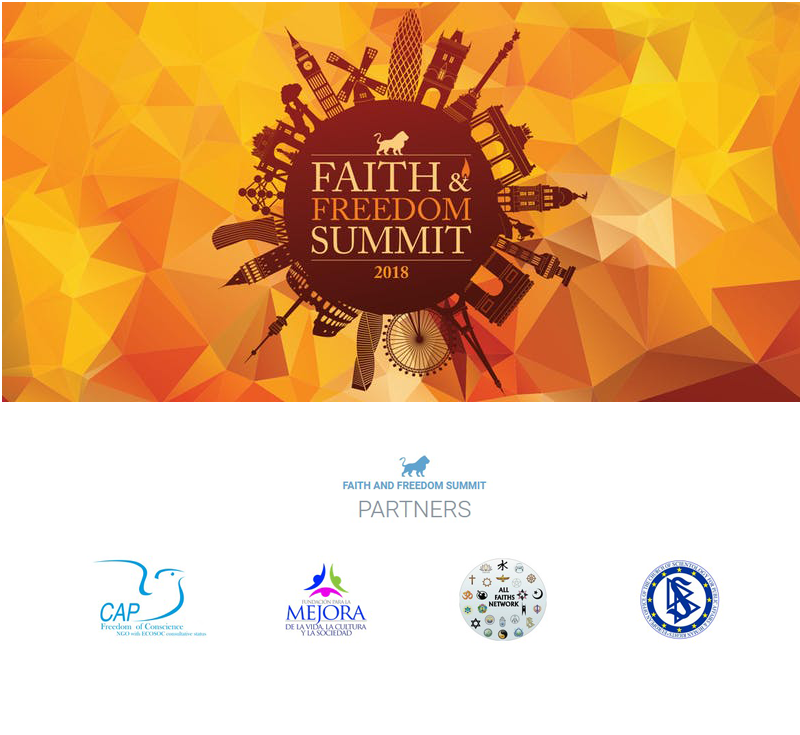 Hosted by ACRE, The Faith and Freedom Summit, is a cross-party initiative, and will involve politicians from all sides, as well as several civil society stakeholders. We, as others, are committed to freedom of religion or belief, and we believe that the EU has more to do with it than only tackling it in its external relations, as it is the case nowadays. If we want to have a legitimate influence outside of the EU border, we must be beyond reproach within our borders. And this is simply not the case in the present time. We strongly believe that EU citizens must enjoy a real freedom of religion or belief, at every level, and that this fundamental right is not given the importance it deserves in the EU institutions, and in the EU instruments to protect the various freedoms of EU citizens. That is why this summit is intended to propose and develop initiatives that will put Freedom of Religion or Belief in Europe back in the spotlight. We are honoured to have many high profile speakers from across Europe from all walks of life (politicians, scholars, human rights fighters, and religious leaders). From keynote speeches to topic driven panel discussions, the Faith and Freedom Summit will bring together European politicians and policy makers, media and the business community, as well as thought leaders and academics, and provide participants with valuable insights into the ideas that can help shape our common European future. CAP Liberté de Conscience, a French NGO created in 2000 dedicated to the respect of the Right of Freedom of Religion and Belief. CAP LC is expert since now 20 years, in religious minorities’ discriminations in France and Europe. CAP Liberté de Conscience organizes events, conferences, meetings to unite minority religions to counter discrimination mainly in France but also in Europe and worldwide.